Doggies like Adventure Time too! 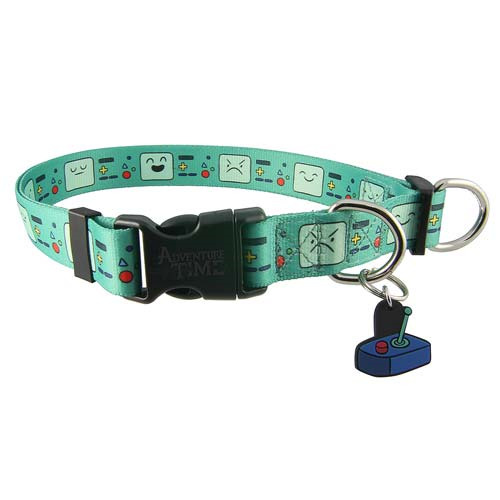 Your pet best friend deserves his or her own light-green Adventure Time BMO Faces Dog Collar that features Game Boy-like character BMO. Available in sizes S, M, L, and XL. Also, be sure to get your matching Adventure Time BMO Faces Dog Leash (sold separately)!